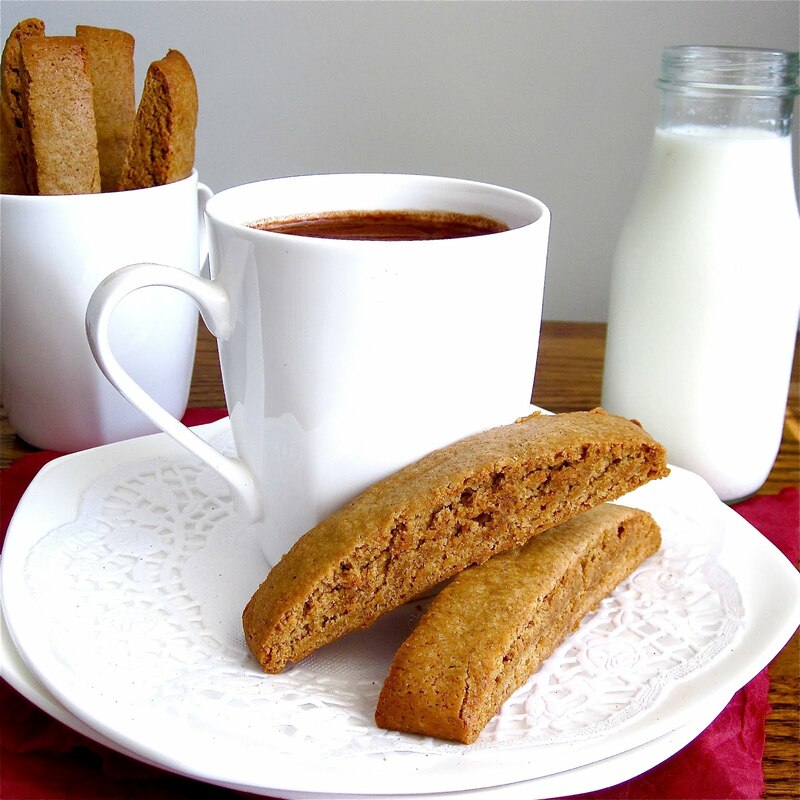 The addition of molasses and spices gives this biscotti the traditional gingerbread flavor and also keeps the biscotti soft, so they are kid friendly and perfect for munching on or dipping in a hot cup of coffee or cocoa. 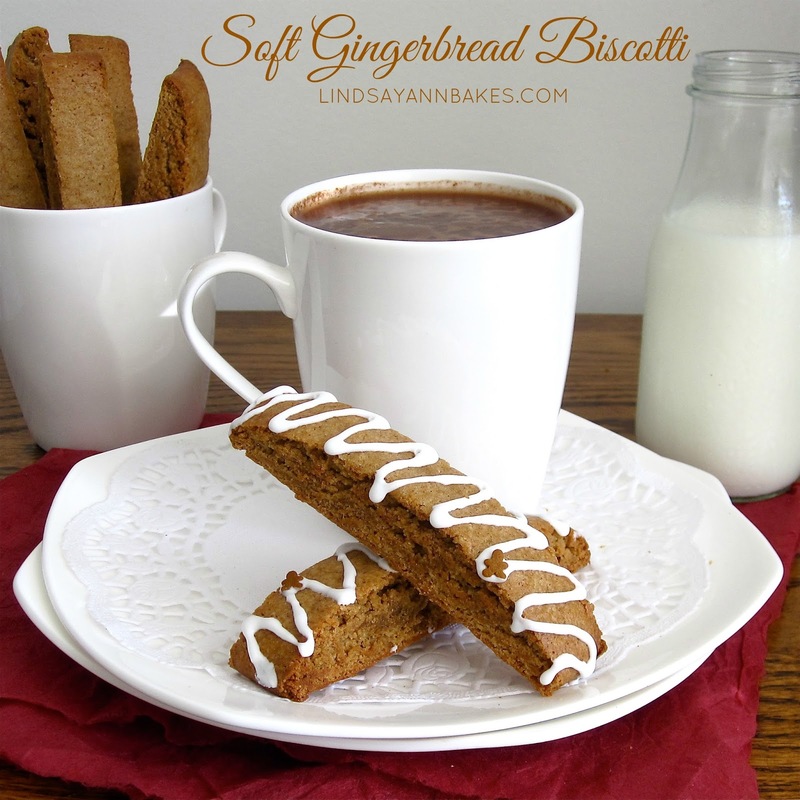 These gingerbread biscotti are quick and simple to make and turn out so fancy looking. Half the fun will be telling everyone you made them from scratch ;) Simply form prepared dough into a one-inch thick rectangle using slightly wet hands (this prevents your hands from ticking to the dough). Bake, cool, slice and reduce oven temperature for a second baking to get them nice and crispy. Place the slices cut side down on the baking sheet and bake again until toasted. Cool completely and dip into milted semisweet or dark chocolate, or spoon melted white chocolate onto a plastic sandwich bag and snip off the corner to drizzle over biscotti, if desired. Let chocolate dry and enjoy as a festive morning snack or dunk into hot chocolate, coffee or warm milk! Preheat the oven to 350 degrees F. Line a baking sheet with parchment paper. In a medium bowl, whisk together the flour, baking powder, spices and salt. Set aside. With an electric mixer, beat together the butter and sugar on medium speed until light and fluffy. Reduce speed to low speed and add the egg, molasses and vanilla. Slowly best in the flour mixture until incorporated. Place dough in the center of the prepared baking sheet. Wet hands slightly and form dough into a 3"x7" rectangle about one-inch high. Bake for about 25-30 minutes, until lightly browned. Remove from oven and cool on cookie sheet. Reduce oven temperature to 325 degrees F.
Once the biscotti has cooled, cut it into ½-inch thick slices using a sharp knife or pizza cutter. Place the slices cut side down on the baking sheet and bake again until toasted, about 10 minutes on each side. Remove from oven and place on a cooling rack to cool completely. Spoon melted white chocolate into a plastic sandwich bag and snip off the corner to drizzle onto biscotti, or dip one end into melted chocolate, if desired. Let chocolate dry before serving. Enjoy! 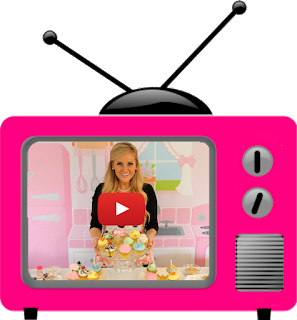 I am so honored to have had the opportunity to create the "Holiday Bakeshop" recipe collection for the December/January 2013 issue of Family Fun magazine. I have had my work published in the magazine multiple times, but when I was approached about doing the entire holiday feature this year, I was beyond thrilled. It was especially fun to see my work recreated in the photos in the magazine and always so exciting to see my name published! 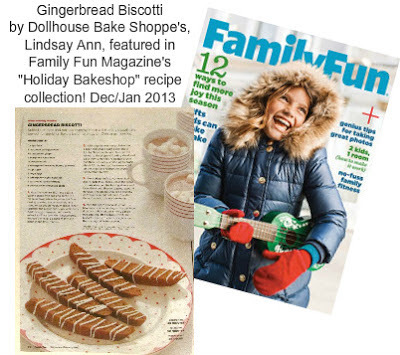 Check out my biscotti in the December/January 2013 issue of Family Fun Magazine as part of my "Holiday Bakeshop" recipe collection!